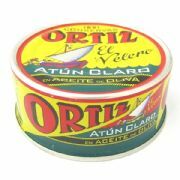 Rio Mare Tuna in Olive Oil - pack of 4 tins. 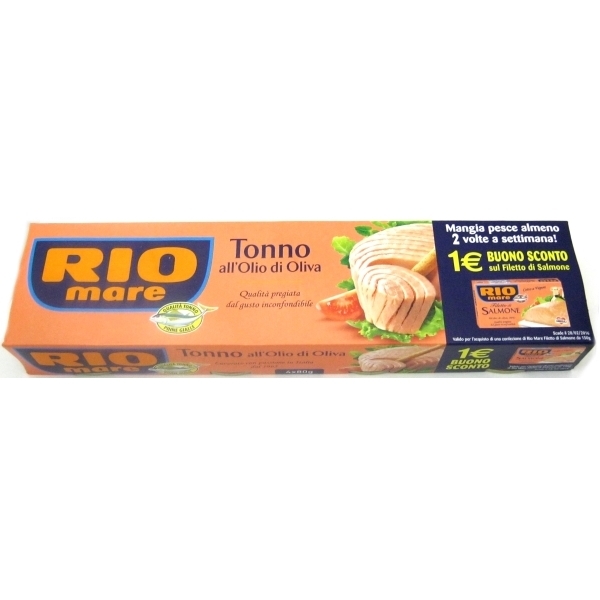 Since the very beginning, Rio Mare Tuna in Olive Oil has been the most popular, best-loved tuna in Italy. 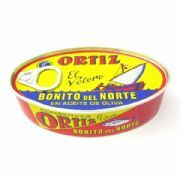 The reason for its success lies in its unique, unmistakable taste, the result of the painstakingly careful selection of the finest-quality raw material, such as the highly prized Yellowfin tuna species. Yellowfin Tuna (Thunnus Albacares) lives in clean, open seas. Its flesh has a distinctive pink colour, a delicate flavour and a firm, though tender texture. 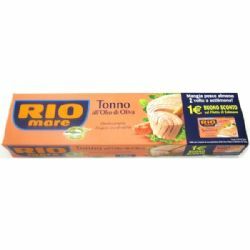 Rio Mare processes it with care, produce a superior quality, tasty, tender tuna, “so tender that it can be cut with a breadstick”. The processing of Rio Mare tuna is extremely simple: the tuna is steam-cooked and then hand-processed, as it was in the olden days, to guarantee that the thorough cleaning of the fish and only the highest level of quality. 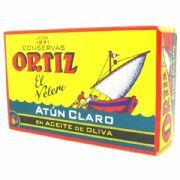 The tuna is then canned with the addition of pure olive oil and a pinch of sea salt. It contains no preservatives or artificial flavourings.